The initial step in growing phonics skills is learning the sounds! 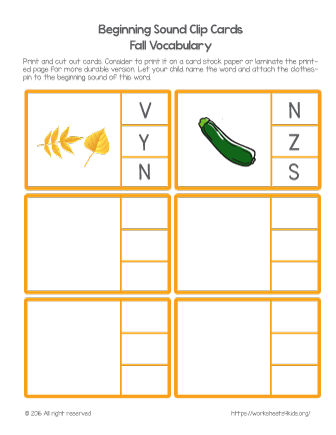 Kids identify the beginning letter sounds of the fall related words. A good tip for young learner would be to say each word slowly. Fall related words: yellow, zucchini.